1. Water fasting demands mental preparation; don’t enter into day one by planning a ski trip. If you are fasting for the weekend, clear the calendar; the fast will be an event enough. During a water fast, the less pressure and responsibility you have the better. Think of it as a holiday from your normal patterns of living. 2. One week before your fast, drink fresh juices and eat mostly raw fruits and vegetables to cleanse the body so the detoxification during water fasting will be less aggressive. 3. Be careful of dizziness and blackouts. The heart is resting as much as it can during water fasting. Before you stand up, take one or two deep breaths to increase oxygenation and improve circulation. If you start to black out, sit down or crouch down on one knee. This will immediately stop the dizziness. 4. If you are juice fasting, occasionally doing a few days on water will intensify the fast and, if you have a slow metabolism, will assist with weight-loss. 5. One advantage of water fasting over juice fasting is that there is usually zero hunger on a water fast. While on juice, there is some stimulation of the digestive system and results in hunger. 6. During a water fast over 3 days, it is wise to use an enema. Okay so I’ve pretty much done everything I shouldn’t do so far. I’m a 15 year old girl and this is day two of a seven day water fast. I have never fasted before, but I don’t have a juicer. I am 5’6″ and 143.5 pounds, my BMI is 23.2 so technically I am healthy. I guess I am doing this to lose weight. I chose to fast now because I am usually very busy, and during this part of the summer I only have to play sports every few days instead of daily. Yesterday I played two softball games. I am the starting catcher, and do a lot of work, and yesterday during the games I only felt a little dizzy on occasion. My next game is on Saturday, that will be day four. 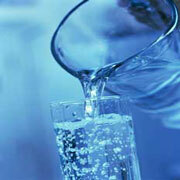 Getting dizzy and weak during a water fast is normal. So trying to do sports is the opposite of letting the body rest and heal. Water fasting is for time when you can rest. Juice fasting is more suited to you lifestyle. Hi from Australia, I am on day 15 of a complete water fast and am feeling great. I have not done a long for a long time and this one has a goal of 40 days with hopes of a 40 pound loss. I like the info on cayenne as my metabolism is quite slow. Thanks for the advice Tom on cutting back the water. My first 10 days I was consuming 3 litres per day and it was causing gas but the worst part was the bowel had a mind of its’ own and I had a few ooops. Now I am down to about 1-1.5 litres per day and no problems. Keeping busy and taking a bath while my husband eats has been my solution to evening sorrow at not having dinner. My sense of smell has increased 100 fold – this is great for smelling food, but not peoples’ breath. Would love to hear from other long term water fasters. Great, if you keep a daily journal you could share it with other fasters at the end of the fast. I can say I have not been keeping a log – however, I can start now at day 22 as is now – I am noticing more changes – less energy. I am hoping this is temporal and that I will see the boost at the 20-30 day mark. Does this happen also on water fasts? Feeling very week today. Averaging one pound per day of weight loss. With juice and water fasting energy levels can fluctuate dramatically within hours. My wife and kids are gone for the next 23 days and I wanted to fast during this time. But my mother has been in the medical center, where I travel to daily. I also do art using handtools in the garage with temps ranging from 95 to 110 (which i am comfortable with). I have great well water that I will drink often. I have never made it past 14 days due to a heavy appetite. I plan to take it easy and breath well before standing. Do you think the heat or the stress would effect the fast? Fasting increases the ability to handle intense heat. Stress is hard during fasting. You become more sensitive and it affects you more. You can also have periods of less patience and tolerance. But go for it you can always quit. I struggle from one of the most severe cases of overeating that I know of (6,000-7,500 calories/day, for a 5’3″ female)… after exhausting other options and continuing research, I uncovered some information about fasting as a way to overcome overeating. Over the past two months, I’ve done about 11 fasts (Longest was 7.5 days, two were just under 4 days, three or four were 3.5 days, and the others were 1-2 days). I know that fasting this often is probably not ideal; however, the fasting seems to be helping me to overcome the overeating. Frustratingly, due to very bad planning last week, I broke my beautiful, 7.5 day fast wrong, and it’s really set me back causing unnatural hunger/cravings for the wrong foods, leading to overeating/weight gain of literally 10 lbs. It’s a VERY frightening feeling and I hope I’m not doing more harm than good by attempting to fast again in order to heal… (like, when I overeat, I accomplish NOTHING, I am so sick)… when fasting, my concentration is superb, and (contrary to what you mentioned), I find that I handle stress extremely well, when fasting. Unless you address the root cause of your overeating fasting will be a time of freedom followed by binging. Why are you eating so much? To change feeling, bordom, habit. You have to see what feeling are causing you to trigger eating. You can address these during fasting but the binging can be painful if you do not make it. I will gladly help you. I can’t thank you enough for the offer to help… the problem is purely TERRORIFYING, and it’s gotten worse, exponentially. I’ve sought out help from everyone – from conventional (Western) medicine to some of the top alternative health specialists. 1. “True” [but unnatural] hunger. – True hunger in the sense of real/actual hunger pangs, but EXTREMELY out of proportion to the amount of hunger that I should be feeling for a 5’3″ female (for example, feeling starved, 2-3 hours after a 500-600 calorie meal). 2. A “NEED TO EAT NOW!! !” feeling that is NOT true hunger. – I call it a “NEED TO EAT NOW!! !” feeling for lack of knowing the precise cause. For YEARS, I called it hypoglycemia, (and I did indeed suffer from HUGE reactive [aka postprandial] hypoglycemia); however, I’ve since cured the hypoglycemia after having greatly improved my diet… so I know now that there is more to the “NEED TO EAT NOW!! !” feeling than “just” hypoglycemia. The NEEDING to eat feeling stems from both extreme physical fatigue, as well as “mental” fatigue (the inability to concentrate). Food remedies both; however, the more I give in (i.e. eat in order to have more energy and/or to concentrate), the sooner after each meal this feeling occurs… until I’m consuming 1000’s of calories/day). Reflecting to my childhood, I was always quite thin, despite eating INSANE amounts of food (looking back and estimating, a given day would be 6,000-8,000+ calories)… but I never gained an ounce… until puberty. I started gaining weight like crazy after I got my period. I NEVER tried to fight the weight gain, at first, (at that time, I NEVER thought about food/weight/counting calories); the only thought that crossed my mind, (the year I got my period), was: This is CRAZY… how on Earth am I so incredibly fatigued, despite increasing my food intake!?! After that first year, I lost about 20-30 lbs. (without even trying… then); I simply got fed up with being fatigued/not able to do the physical things I loved; so I made a point to exercise lightly and eat better. At that time, the weight loss was merely a byproduct. But I couldn’t help noticing that, my energy returned after I’d lost weight. After years of suffering, at age 27 (~1 yr. ago), I FINALLY convinced a doctor to perform a hysterectomy for me (since I’ve never wanted kids!). The procedure made me feel like ME again; it really was a blessing! …but, much to my surprise – (since nearly all of the other terrible symptoms I struggled with vanished after my surgery), the overeating has persisted. If you have any insight, I would greatly appreciate it. Again, I really, really thank you for your offer to help. Indeed a complex problem. The unnatural hunger may be triggered by low blood sugar. Did you get a blood sugar test. Do you crave sugars first or the feeling of your stomach being full. Are your hormone levels normal… especially thyroid? On a water fast do you feel weak a few hours after eating. Do you need a large meal to get the energy boost or will a small meal do the same? Thanks for the suggestions. A year ago, I would have sworn the problem was hypoglycemia (and/or parasites/toxins). Right now though, the hypoglycemia is pretty much resolved (subjectively, at least compared to how it used to be!). Re: On a water fast do you feel weak a few hours after eating? << Do you mean when I start the fast or when I break it (since, on a water fast, I don't eat!)? In general, I am better without food (the type of hypoglycemia I suffered from was postprandial (i.e. it was triggered BY food), so I've always felt better when fasting. For example, without question, the first day of a fast is always the hardest because of the "chemical" feeling of NEEDING food. This goes away after a day. In terms of fasting/eating/overeating, the other terrorifying thing that I forgot to mention is that I'm struggling GREATLY… despite being a *situation that would render 99% of the population full beyond belief and without not the slight hunger pang! *Specifically I've been taking hCG (human chorionic gonadotropin ). hCG supposedly is a cure for obesity/abnormal fat gain/overeating (it's a LONG story, but if you're interested, you can read about its discovery & the Simeons' Protocol here: http://www.hcgdietinfo.com/Dr-ATW-Simeons-Pounds-and-Inches.htm. At any rate, even during my 7.5 day fast, I never felt the slightest bit weak (in the shaky/low blood sugar sense). However, one of the biggest barriers in causing me to break a fast, which is 2nd/equal to hunger, is extremely low physical energy, (which is caused by toxins, from what I've been told)… but things don't equate: if I'm toxic enough to experience fatigue to the point of barely being able to get out of bed (when fasting), then why don't I ever feel the slightest bit sick, especially during the first three days of fasting? Then again, I suppose fatigue could be my body's way of dealing with fatigue; whereas others may experience headaches/nausea. Well, in terms of your other questions: "Do you crave sugars first or the feeling of your stomach being full? "/" Do you need a large meal to get the energy boost or will a small meal do the same?" Definitely the feeling of my stomach being full… I HATE the feeling of being full, but it's like I don’t have physical energy (and/or concentration) unless I feel full… and at night, I can't even sleep unless I eat until I'm STUFFED after eating my last meal… if I don't eat until I am stuffed, I wake up hungry in the middle of the night. "Are your hormone levels normal… especially thyroid?" For the past several years, my thyroid hormones have always been at the low end of normal… after my hysterectomy, they improve to right in the center of the normal range. As far as I know my other hormone levels are normal. I've had a few complete blood panels (after my hysterectomy) and nearly everything was in the normal range… actually, come to think of it, of the 55 things they test, all but 3 were normal. The only things that weren't were: HDL (Good) Cholesterol (just a few values higher than range); Estradiol (just a few units lower out of range — totally normal since I'd had a hysterectomy); and Insulin-Like Growth Factor I (this was through the roof! The normal range listed was 117-329 ng/mL; my level was 506 ng/mL). Well, sorry for the long post; and again, I REALL REALLY appreciate your efforts to help me! My name is Kamila, I am 21 years old, 118 pounds, and 5’8ft (173 cm). I have been on water fast for 38 hours. I have 10 hours left. It is night time but my loud heart beat is keeping me awake. Is this normal during a water fast? It is also pretty slow (60bpm). Yes, loud heart beat and a slow heart beat is normal as the heart is working on reduces glucose so it does not have full power like any muscle that is lacking in glucose supply. Hi Tom…I know you know that ive done water fasting before but I am wondering on how to prepare for another 40 day fast before I start to fast. I want to make sure I have good nutrient stores so what do you recommend I do to get my stores up more without packing on weight. Second, I’d like to know if I’d still lose a pound a day the second time around of a fast? The body need less calories as you get older so if the fast was within a few years you should get the same weight loss rates. The best way to build nutrition is a a juice fast 3 to 5 days, with essential oils such as hemp and flax, vitamin E, B complex and whatever you want to add. Make lots of green juices with parsley as they are loaded with nutrients. This may be a dumb question but is heart rate and metabolism relevant to each other? hey i was wondering how long should an 11 year old go on a water fast for? Are you really 11 years old???? Why are you fasting? How did you get interesting in fasting? What do your parents thing of it? We do not recommend water fasting as a first fast no matter how old you are. Juicing is safe at any age. At the hospital I volunteer at a 9 year old boy did a 30 day juice fast under medical supervision and healed 3 chronic lung conditions. He stated it was easy and did it at home with his grandmother. 6 glasses of juice per day. I would try blending up fruit in a blender and live on shakes for a few days and see how that goes. For use to support you even on a juice fast can cause problems as if we do not have contact with your parents we would be blamed for anything that could occur. If you are fasting due to health problems and your parents are in agreement (by phone) we could support you. I tried 30 days water fast twice but only after 4 days both the time I find not able to carry myself stand for long. I need to shed 40 pound & that also very quick. please do tell me how can I proceed. Forgot to tell that I am working & I want to continue my office for whole 30 days of water fasting. Is it possible or its surely to be in bed for all 30 days if you are water fasting. If you have an 40 lbs to loose then you should be able to water fast, as i have mentioned a few times before about days 3-5 . This is when the body uses up all its sugar reserves and goes into the stages of ketosis, which means this is one of the hardest stages of the fast, when you feel that you have a craving for something sugary, this is normal, you will feel week, a soar head, no energy, these will all pass normally. If you find it far to hard to get past this stage then you can take in some mixed organic fruit and veg when you feel really bad, but watch your intake of your juice. Hi sisopretty. It depends on many things. But if you only plan on water fasting for 12 hours or so each day…well, that’s not really fasting much. At least for cleansing the body and/or weight loss. You are basically emptying your stomach before the next round of food. I do that at night when sleeping! If you juice fast for that period, depending on your exercise routine you probably won’t lose a lot of weight. Maybe a a few pounds per week. Hi, everyone. I am currently on day 4 of a 40 day water fast. I have many questions about it but i haven’t found anything online regarding my questions. I started at 308 pounds and after day 3, i was at 297. I think im doing good so far. The reason why i started doing a water fast is mainly because of my weight and because i read that exercise doesn’t get rid of abnormal fat like water fasting does. Well, i also have gotten many stretch marks in my body to do my over weight. My question is, can i get rid of stretch marks by doing a 40 day water fast? Is it possible for the skin to rejuvenate and actually clear my skin? Im also posting this because i know everyone here has done a water fast and i seek for motivation since this will be a hard journey. I have some dark spots between my legs as well which i’ve noticed they only happen to people who are over weight. Can i clear this as well? If anybody knows anything, please let me know and ill be more than thankful. Hi Arkanah, As you probably know, water fasting is a very hard way to start your fasting experience. But not impossible. Your skin will clear up naturally through fasting. Here are some things that help also: There is a good deal of over-the-counter treatments to prevent, and heal stretch marks. These include Vitamin E oil, stretch mark removal cream, coconut oil, butter lotion, olive oil remedy, aloe Vera, cocoa butter. Use just the “natural” ointments during water fasting. And limit using those to maybe once or twice a week while water fasting! Your skin can absorb these and use it as food, and interfere with the water fasting process! My wife and I have 9 children! During her pregnancies she used cocoa butter. She has hardly a mark on her body! It works…but don’t expect overnight results. It may take 2-3 years of use before they fade. All vitamins including: E, A, B’s etc., are very good for the skin! Do not consume any of these until after the water fast. Juice is also great for healing the skin! Thank you very much for you information. Im on day 7 now, by the way. Im very happy about my progress. I have one more question. If i lose all they extra pounds i have, (which are a lot) will i have saggy skin, or will my skin shrink do to the healing of the water fast? Hi Arkanah, It depends on how over weight you are. But time and diet will eventually restore your skin. One water fast won’t. Remember this something that took years to do. It will probably take years to fix. Fasting on a regular basis will definitely help. I have juice fasted without trouble and done two successful 10-14 day master cleanses. I’ve been a strict vegan for about two year as well. I’ve never been able to successfully water fast, though, and I’d really like to. I’ve been doing a lot of research, have been consuming mostly fruits and vegetables in preparation, and am starting today. My question is whether it’s seriously a bad idea to do when underweight. My BMI is currently around 17.3 but I am medically stable. I’ve read that people who are underweight should not fast but it’s something I really would like to do, to become more mindful about why I am eating and gain a better sense of control (I’ve found myself slipping occasionally with my vegan diet and I don’t know why- it’s quite upsetting for me because it means a lot to me, and I never once cheated in the past two years until very recently). However, if it is truly a bad idea to fast I will try something else. I’ve always wanted to be able to do a successful water fast though. Please advise- thank you so much for all of your time spent providing information and answering questions! I was the perfect weight and got very thin when fasting. But due to having muscle I just go more and more cut so being thin did not look that bad. Fasting for thin people is not harmful it is just harder to fast for a long time on water. The body will return to normal weight within a few days of ending the fast. 10 days of water fasting was tough for me due to having a fast metabolism.